Playing SNES games with an emulator is great, but using the original controllers provides a much more authentic experience. 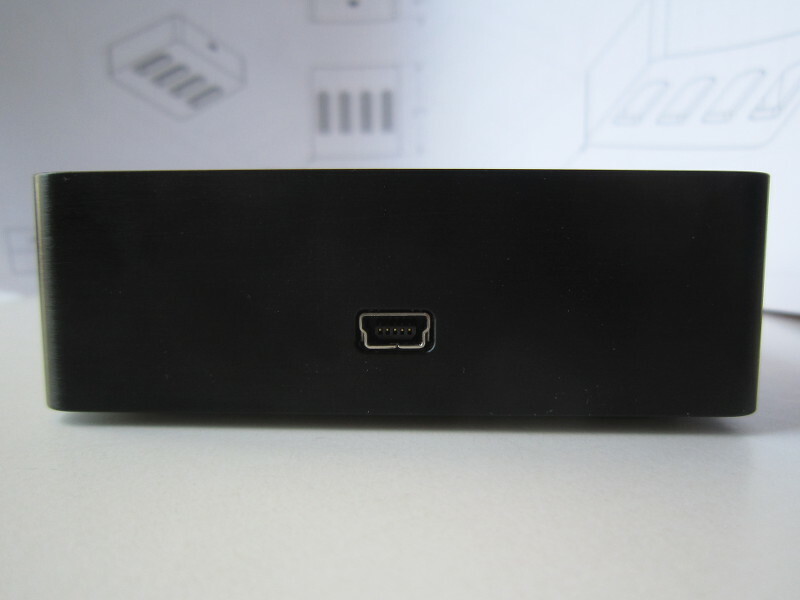 Many solutions to acheive this already existed, so we tried to design an adapter that would stand apart. What we came up with meets our definition of quality. An adapter built in a beautiful metal enclosure, custom machined from a solid block of aluminium and finished using an anodizing process for a black, shiny yet discrete look. In our opinion, this adapter is the finest you can get, one you can be proud to place on your desk. 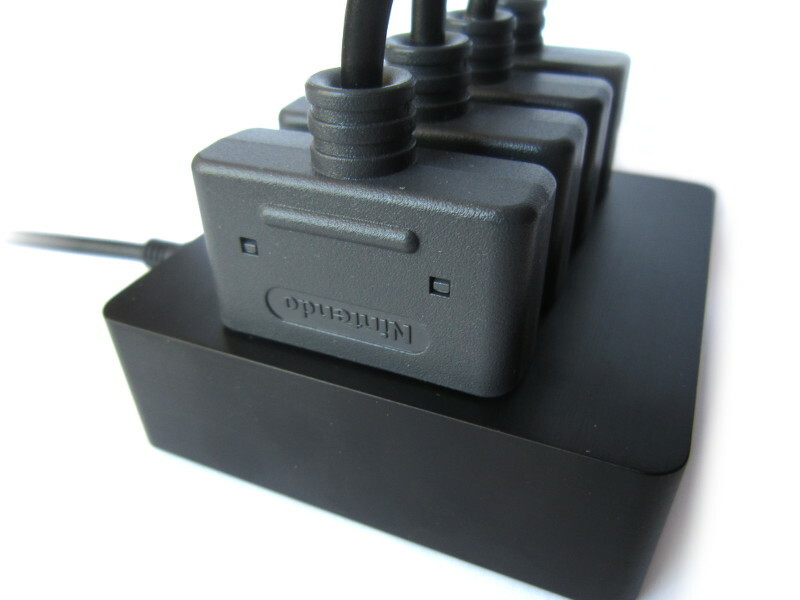 Four (4) SNES controller ports. 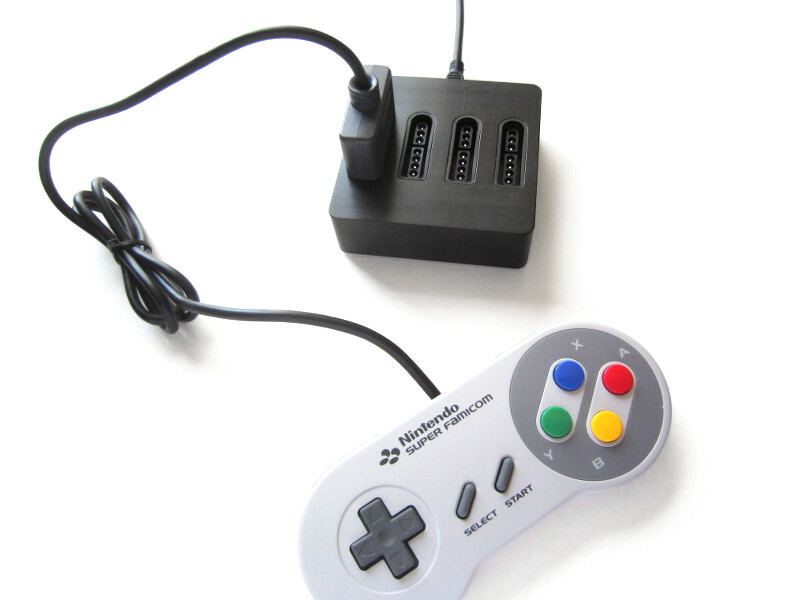 Supports official NTSC and PAL controllers. Supports most third party controllers. Supported natively by Windows 7/8/Vista/XP/2000/ME/98 (32 and 64bit versions), MacOS X, Linux, and many others. Machined aluminium case with a black anodized finish. Dimensions: 6.3cm x 6.3cm x 2.8cm. 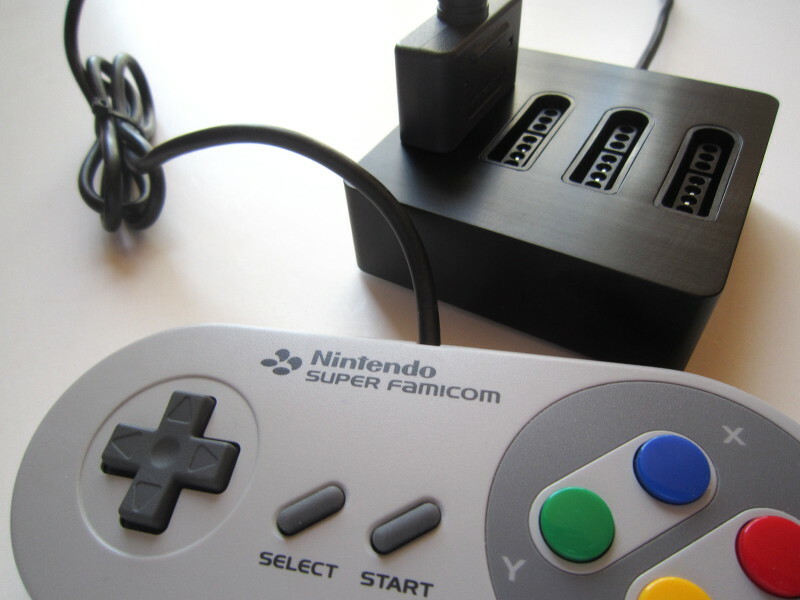 This product is an implementation of the following open source project: 4 NES and/or 4 SNES controller(s) to USB .